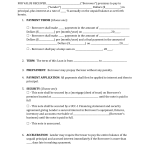 Download this Florida Revocable Living Trust form in order to set aside certain assets and property of your choosing in a separate flexible entity for the benefit of your chosen beneficiaries. It is flexible because you can specify when you want the property or assets distributed, i.e. upon your death, or when the beneficiary reaches a certain age. You can also choose how you want the distribution spent, i.e. on health and education or for whatever the beneficiary wants to do with it. 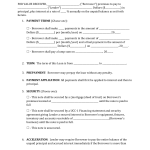 You also choose someone to administer the trust. This person is called the trustee. The trsutee has an obligation to do what’s best for the beneficiaries. 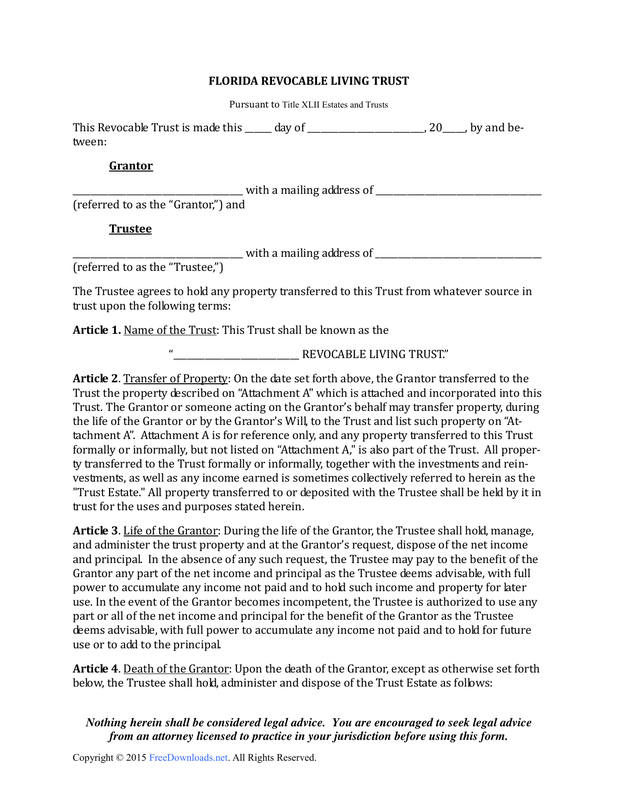 A Revocable trust is a trust that can be revoked or changedduring the life of the grantor, but it becomes irrevocable upon the grantor’s death.